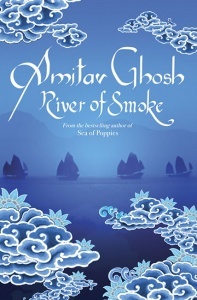 The vast sweep of this historical adventure spans the lush poppy fields of the Ganges, the rolling high seas, and the exotic backstreets of China. 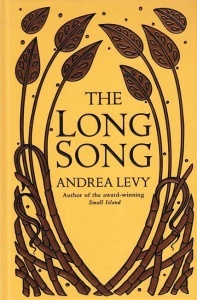 But it is the panorama of characters, whose diaspora encapsulates the vexed colonial history of the East itself, which makes Sea of Poppies so breathtakingly alive – a masterpiece from one of the world’s finest novelists. 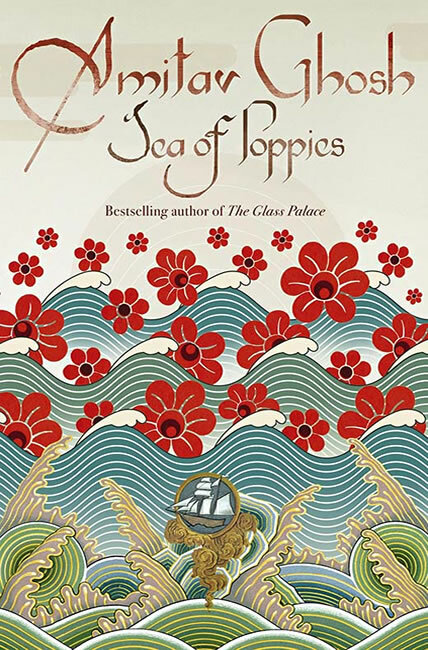 Sea of Poppies boasts a varied collection of characters to love and hate, and provides wonderfully detailed descriptions of opium production… utterly involving and piles on tension until the very last page. 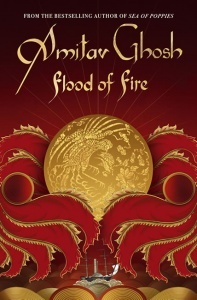 Ghosh’s narrative is enriched with a wealth of historical detail… as well as intricate characterisation that makes interaction among the diverse group truly absorbing. 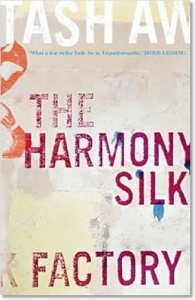 Dark green cover with gold coloured text / pattern on spine, gold and copper coloured decorative head and tail bands. The cream endpapers are printed with the same red poppy design as the jacket.